What movie are you actually watching? 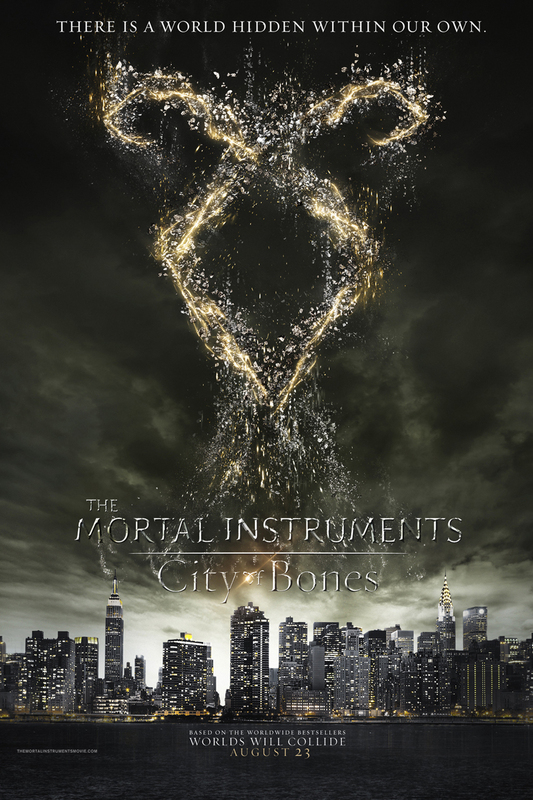 The Mortal Instruments of course is off of a book series. Mostly all the books/book series is turned into a movie, probably because no one likes to read, everyone can relate to a movie. So my review will only be based on the movie because nobody has time to read a book. 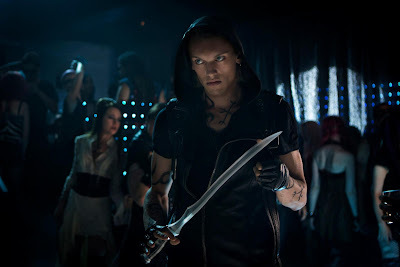 In the beginning of the movie Clary, the main charter in the movie played by Lily Collins, is very annoying. She is a typical teenage girl, with those typical problems that all teenage girls have to act out. Not to fear, after the first third of the movie, Clary gets less annoying. The movie actually was interesting. It kept moving, it didn't have any slow parts. The scenes were very realistic, of course there's no such thing as vampires and witches and such, but it has great visual effects. 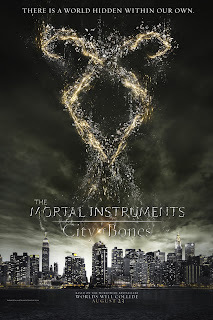 As you watch The Mortal Instruments: City of Bones, you will notice that it will remind you of some other similar movies. There is a whole scene of vampires versus ware-wolfs. If your thinking of the Twilight movies, that's it. With all the magic scenes you will think your watching Harry Potter, they even have there own Voldemort. Let me know what similarities you saw in the movie in the comments below. This is actually a movie you will want to see. Well they had this two minute, background music included, make out scene, then they ended up being brother and sister. I don't care if it's true or not, who you are, or what you think, that's something they should have not had in the movie. It's just wrong. They could have made this movie a little less like other movies. I understand, it's based off a book, but its to much alike other movies to not notice that.